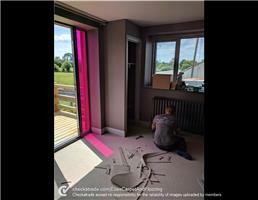 Elias Carpet & Flooring Ltd - Carpets/Flooring based in Woodborough, Wiltshire. If you are looking for a carpet and flooring supplier in the local area, look no further than Elias Carpet and Flooring. As well as a complete range of accessories. There are no hidden costs or misleading price strategies, we will itemise your quotation to show exactly what you are paying for. All estimates and quotations are provided completely Free of Charge, with friendly, no pressure home consultations so it's simple to achieve the perfect match to your furnishing and decor. News of our workmanship and standards is such that several local retail outlets seek our fitting expertise to ensure their own customer's satisfaction. Dealing directly with us will ensure you receive professional service at the right cost. We continue to build our reputation and welcome your business so you too can become a satisfied customer and reference for us. If you would like to discuss your requirements with us and see a range of suitable materials, then please contact us now for you Free No Obligation Quotation!